Located on picturesque Lawton Avenue, is the Backstreet Gallery... Enter and the neutral colored walls create the ideal canvas for an artist to showcase their work. 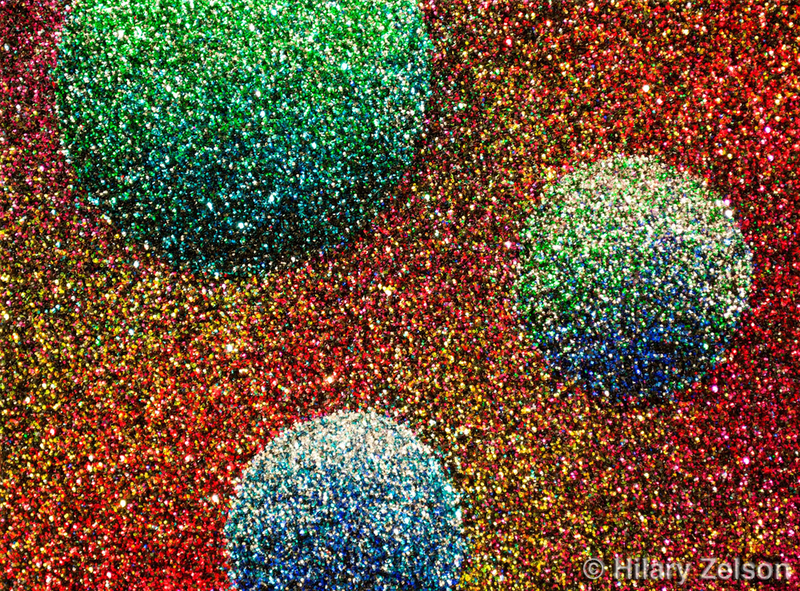 Today Hilary Zelson was showing pieces from her Dripping in Glitter collection. For the pieces she used glitter on canvas in lieu of paint. Paintings on display at Westport River Gallery located in Westport, CT.